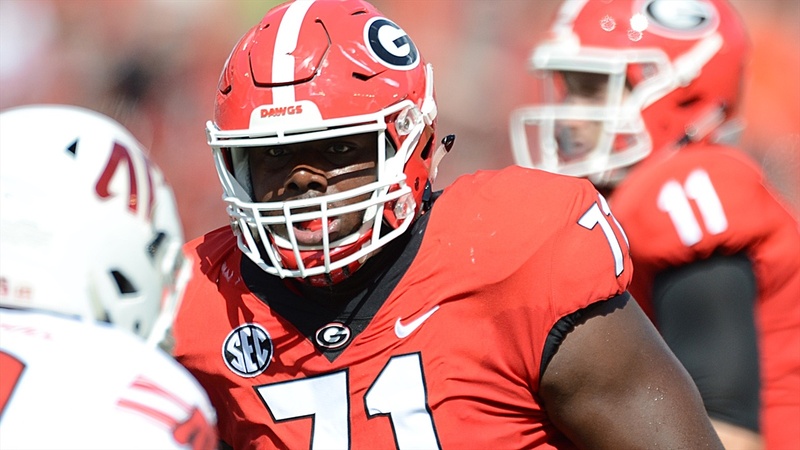 ATHENS - Georgia coach Kirby Smart updated the status of starting left tackle Andrew Thomas. “Still ankle spring. He will be out today to rehab and to stuff on the treadmill. Hopefully he will be back for the game (on Saturday) ,” Kirby said of Thomas’ status. Thomas has started the previous 17 games for the Bulldogs, but left midway through No. 3 Georgia’s 41-17 win over No. 24 South Carolina in Columbia. He did not return to the game. Instead, true freshman Cade Mays came in to play in place of Thomas. Kirby said on Saturday that “we don’t know to what extent or how bad” Thomas’ injury was. But Mays appeared to pick up right where Thomas left off.